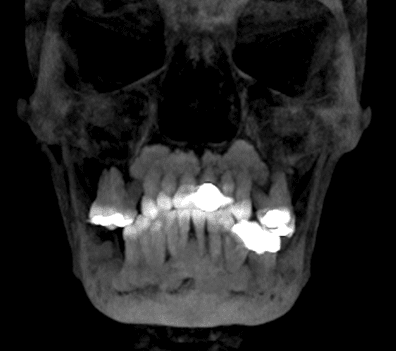 Case Report: An elderly lady was referred by her dentist for multiple radiolucent-radiopaque masses throughout the maxillary and mandibular alveolar bones. His concern was that there were several abscessed teeth and roots. Her medical history included the use of bisphosphonate drugs and he wondered if she may have Paget’s disease or Gardner’s syndrome. 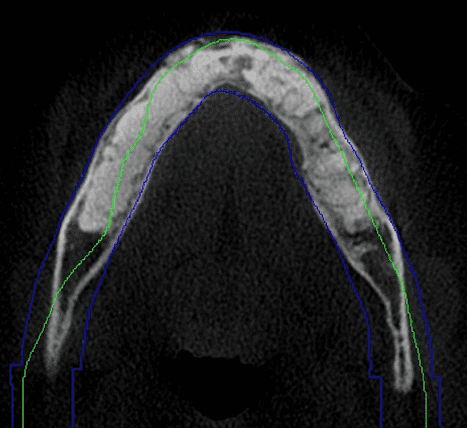 The CBCT lateral cephalogram revealed these lesions to be confined to the maxillary and mandibular alveolar bone, and her alkaline phosphate serum levels were reported to be normal. Thus, Paget’s disease was ruled-out. According to her primary care physician, there was no evidence on radiographs of any osteomas and a series of colonoscopies over the years demonstrated no evidence of colon cancer. These findings allowed us to rule-out Gardner’s syndrome. 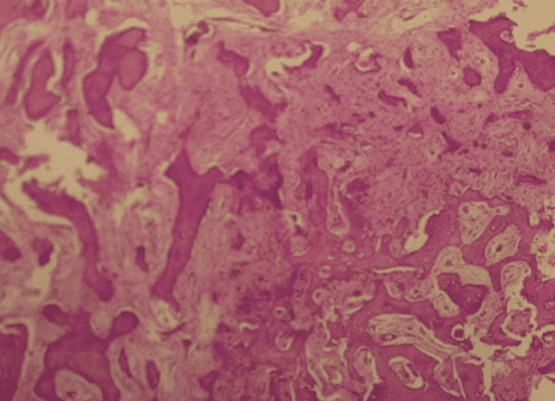 Based on all the above information, a diagnosis of Florid Cemento-Osseous Dysplasia (FCOD) was made. FCOD refers to a set of radiolucent-radiopaque periapical and interradicular lesions involving the mandible bilaterally and sometimes the maxilla. The lesions are asymptomatic, dysmorphic bone cementum complexes. 10% of the time, these lesions become exposed to the oral flora due to tooth removal, periodontal disease, or pulpal disease. Secondary infection can develop with pain, swelling, and persistent intra-oral and extra-oral drainage. Rarely, there is bone expansion as seen on x-ray. The highest incidence of occurrence is seen in women of African heritage around these age of 40 years with the same occasional occurrence in men. The involvement of these lesions is to the tooth-bearing alveolar bone with the rami and basilar bone spared. In patients with FCOD, it is important to try to salvage all of these teeth with endodontic and periodontal care and to reduce the need for extractions. Another reason with this paticular patient was to minimize chances of medication induced osteonecrosis of the jawbone (MRONJ). However, with FCOD, the roots are ankylosed to the bone-cementum complex, which has poor cellularity and vascularity. The result is roots will fracture and it is difficult on radiographs to distinguish between the roots and dysmorphic bone-cementum complex. The extractions socket wound remains exposed and does not heal. 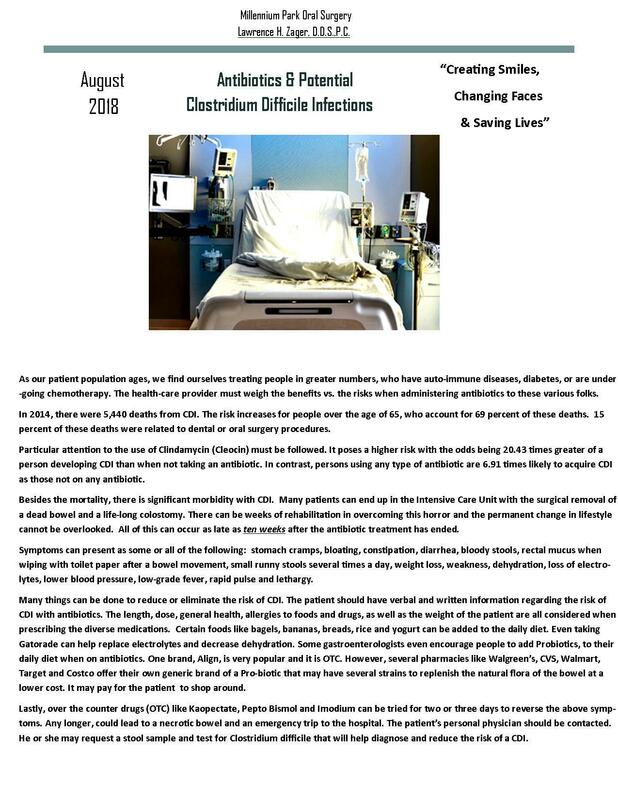 This could lead in an elderly patient to a chronic oral infection with the use of long-term antibiotics. In some cases, hyperbaric oxygen therapy will be necessary or an alveolar resection of the symptomatic area only. Asymptomatic areas are to be left alone or a significant alveolar defect may ensue, which can make dental restoration with crown and bridge or partials very difficult. Implants do not osseo-integrate well in these areas and lead to higher failure rate. 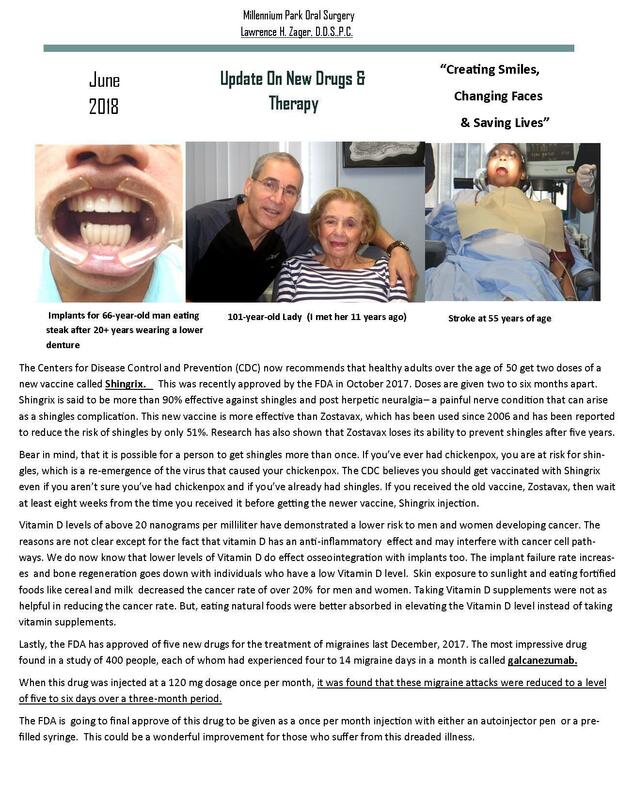 When the dentist is trying a treatment for long-term care, it is possible although difficult, to go into dysmorphic areas and remove the lesions with the placement of bone grafts. Some surgeons are reporting good results with better follow-ups and are able to restore the dentition with endosteal implants. Other alternative treatments could include zygomatic implants for maxillary reconstruction and All-on-Four for mandibular basilar bone restorations.